What do these numbers mean, what’s the target, and how can they provide insight into better diabetes management? Example days included! Glucose monitoring is one of the most important tools in diabetes. Just like a speedometer in a car, glucose data helps inform key actions in diabetes – take more or less medication, change food choices or timing, exercise, and more. Most of us think of glucose data in an immediate sense for guiding therapy decisions: “How much insulin should I take right now?” However, it also helps inform longer-term patterns: “My blood sugar has been consistently high after breakfast for the past two weeks; why might that be and what can be done about it? Last December, we covered time-in-range in two articles – Kelly Close and Adam interviewed 15 experts and then wrote “What do experts think about goals?” and Adam took a personal look at all his CGM data and wrote, with lots of advice from many of the same experts, “What’s an achievable time-in-range goal with diabetes?” This article is about the first three statistics: average (mean) glucose, SD, and CV. The information below on mean glucose, SD, and CV is relevant to all readers who monitor their glucose, though it’s often not available on the device itself – you must usually download your meter or CGM to a paired app or computer software. At the end of this article, we’ve listed options for some of the most commonly used devices. In this piece, we’ve turned yet again to the experts! This article integrates feedback from a dozen of the world’s smartest thinkers (endocrinologists, educators, researchers) on glucose monitoring and glucose variability. What is mean glucose? What’s a good target? “Mean glucose” is another way of saying “average glucose.” It’s an overall measure of blood sugars over a period of time, offering a single high-level view of where glucose has been. A lower mean glucose often indicates fewer high blood sugars; however, it can also indicate a lot of low blood sugars (hypoglycemia) are occurring. Many experts look for a mean glucose of less than 154 mg/dl in adults with diabetes, which approximates to an A1C less than 7% (the target in the USA). In kids, the target is slightly higher: an A1C less than 7.5%, which corresponds to mean glucose of 170 mg/dl. Some professional organizations also advocate for lower A1C levels in adults around 6.5%. However, these are population averages. As we’ve discussed previously, in “What’s a Normal A1C? When is it Misleading?”, the relationship between A1C and mean glucose can vary quite a bit from person to person. Still, aiming for a mean glucose of less than 154 mg/dl in adults and less than 170 mg/dl in kids is a good starting point for most – check with your healthcare team, of course, if you are making major changes. Over the long term, the goal is the lowest possible average glucose without frequent, prolonged, or severe hypoglycemia, based on evidence from the DCCT and UKPDS. For those wondering, in people without diabetes, mean glucose is typically 100 mg/dl or less, which corresponds to an A1C of less than 5.7% (the cutoff for diagnosing prediabetes). The cutoff for diagnosing diabetes is an A1C of 6.5%, corresponding to a mean glucose of roughly 135 mg/dl. A mean glucose of 225 mg/dl could indicate a lot of high blood sugars are happening, implying changes are needed – e.g., a higher medication dose, different food choices. Dr. Irl Hirsch also pointed out that this kind of average could imply medication doses are being missed, especially for those with type 1. Many experts brought up a caveat, however: a mean glucose of 225 mg/dl can still hide a lot of low blood sugars! Before making changes to increase medication, it’s important to make sure hypoglycemia is not occurring – ideally with professional or personal CGM. If mean glucose is 100 mg/dl and someone is experiencing many low blood sugars (hypoglycemia) every day of the week, changes are needed too – e.g., closer attention to when the hypoglycemia is happening in order to determine the best action, such as differently timed exercise or a lower medication dose. What are SD and CV? Why do they matter? 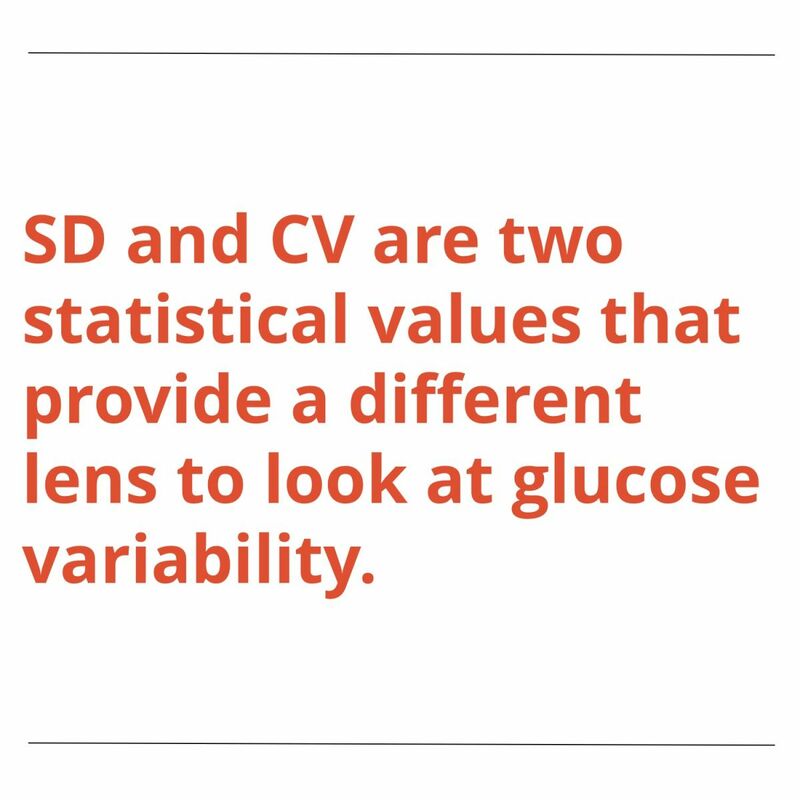 SD and CV are two statistical values that provide a different lens to look at glucose variability, similar in a way to time-in-range (TIR) numbers. “SD” is shorthand for “standard deviation,” which is a measure of the spread in glucose readings around the average – some call this the variation. For example, if someone has been bouncing around between many highs and/or many lows on a given day, they will have a larger SD. On the other hand, if someone is having a pretty stable day, she will have a lower SD. The goal is the lowest SD possible, which would reflect a steady glucose level with minimal swings – just like in someone without diabetes. You can see that the standard deviation that is “normal” in people without diabetes, based on data from Berlin and EASD, was below 20 in all age groups! Most people with diabetes would not have nearly that low an SD. However, SD must be interpreted in context with the mean glucose, which leads us to the third metric: coefficient of variation (CV). CV is a fancy term for a simple calculation: dividing the SD by the mean glucose and multiplying by 100 to get a percentage. For example, if the SD is 50 mg/dl, and the average glucose is 150 mg/dl, then you divide 50 by 150, multiply by 100, and you get a CV of 33%. Why use CV instead of SD? SD is highly influenced by the mean glucose – someone with a higher mean glucose will have a higher SD. This division helps “correct” and normalize glucose variability, allowing us to set a single variability goal that applies to people with different mean glucose levels. What should SD and CV be? Children and teens type 1 diabetes: Multiple experts told us that very young patients with diabetes tend to have higher variability than adults. Dr. Greg Forlenza noted that 2-6-year-olds will often have standard deviations of 80-100 mg/dl or a CV in the mid-to-high 40%’s. Similarly, Dr. Jake Kushner noted that an SD of 50 mg/dl would be “awesome” in many teens, who are often struggling with diabetes. Dr. Irl Hirsch added that high SDs over 100 mg/dl, often seen in teens, often mean mealtime insulin is being missed. People with type 2 diabetes: Dr. Roy Beck pointed out that people with type 2 diabetes generally have lower CV than people with type 1, especially if they are not using insulin. And, even those with type 2 using insulin tend to have lower CV than those with type 1. Why are SD and CV important to know? Glycemic variability may be an independent risk factor for diabetes complications. This is still controversial and not proven. For those desiring a deeper dive, this foundational paper from 2006 in JAMA links glycemic variability to oxidative stress. (It’s been cited over 2,000 times!) See follow-up papers from 2008 and 2011. SD/CV reflect variability in a single number, which can be more digestible than juggling many numbers. The larger the variability, the greater the risk of disabling hypoglycemia. To give some life to these numbers, let’s take a look at a few daily examples from Adam’s CGM data – one with more variability, one with less variability, and one with extremely low variability. These are intended to be illustrative and not for comparison. Many experts reminded us that all three of these days have lower variability and lower mean glucose levels than what many people with diabetes experience – it also helps to keep in mind that numbers are just information to make a decision, not judgment or grades (read Adam’s column on this mindset here). For those not yet familiar with CGM, each black dot represents a glucose value taken every five minutes over the course of 24 hours. The graph is laid out from midnight on the left, 12 noon in the middle, and midnight on the right. There are lots of reasons over the years that Adam’s glucose numbers have been highly variable – particularly before he had CGM! Here’s one where he tested low-carb vs. high-carb. On October 15th, Adam’s mean glucose was 123 mg/dl, but his day was full of exhausting ups and downs. A number that gives away the day’s challenges was Adam’s SD: 51 mg/dl. Despite having a lower average glucose of 123 mg/dl, Adam spent a significant 13.5% of his day in hypoglycemia (over three hours!) and his time in range was about 56%. He also had a higher-than-usual SD of 51 mg/dl. His CV of 41% (51 divided by 123 x 100) was also higher than usual, indicating more blood glucose swings throughout the day. Because Adam’s average blood sugar was fairly low in this example, the high variability resulted from many dips into hypoglycemia. This example illustrates why knowing average glucose is not enough! Here, a low average of 123 mg/dl sounds good, but there was higher variability than usual for Adam (SD: 51), which meant a lot of time spent in hypoglycemia. Plus, Adam’s quality of life was simply poorer on this day, a point he really stressed in his low-carb vs. high-carb article. While someone wearing CGM would be able to detect all the hypoglycemia and hopefully respond quickly, it would not be obvious with a blood glucose meter alone. Meters give only a handful of glucose data points per day and rarely are fingersticks taken in the critical overnight period. As a result, it’s important for those using a glucose meter to know both the average and SD, aiming for the targets mentioned above. Let’s take a look at another day with the exact same average glucose of 123 mg/dl, but this time, with much less variability. On July 23rd, Adam’s average glucose was also 123 mg/dl – the same average as the high variability day above. However, the SD was much lower at 36 mg/dl, which translated to a CV of 29% (i.e., less than 1/3 of the mean, the goal). On this day, despite the same average glucose as October 15th (above), Adam’s time spent in range (70-140 mg/dl) was 70%, much higher than the first example, and the CV here was about half the level in the first example. Adam’s time in hypoglycemia was also much lower at 2.8% – though even that is still about 40 minutes. On June 13, Adam experienced his lowest glucose variability of this year: an average glucose of 107 mg/dl and an SD of just 15 mg/dl, translating to a CV of just 14%. Adam’s time-in-range was 100% on this particular Bright Spot day. As seen in the chart below, his glucose was extremely steady throughout the day, never dipping below 70 mg/dl or above 140 mg/dl. How does Adam use all of this? When is my glucose consistently staying in range and why might that be occurring? How can I increase these Diabetes Bright Spots? For example, do you have more on-target numbers the next day after a full night of sleep? If so, that is extra motivation for you to get the rest you need! Read more on sleep and diabetes here. When is my glucose going high or low and why might that be occurring? How can I reduce these Diabetes Landmines from happening? For example, does eating late dinners tends to lead to an out-of-range morning glucose with a higher SD and CV on the following day? If so, you may try earlier dinners without snacking afterwards. Related to nighttime, Dr. Irl Hirsch also reminded us about the impact of alcohol, especially in large amounts – usually it leads to higher glycemic variability (whether those are lows or highs depends on the type of alcohol). Ask yourself how you feel when your variability is high, medium, or low. If you feel better with low glucose variability, try to identify patterns – what did you do? What might you test out? Keep a record of how you feel and see if tricks to reduce glucose variability correlate with feeling better and more productive. Adam’s tips to reduce glucose variability are summarized in his book. An above-target average glucose (e.g., 180 mg/dl) and high standard deviation (70 mg/dl) would indicate much of the day is spent at a very high blood sugar. The key question is WHY those highs are occurring and what to do about it. Is a medication change needed? (If applicable) Are mealtime insulin doses being taken at least 15 minutes before eating? Is the right amount of insulin being taken? (If applicable) Are you factoring in protein and fat? Dr. Jake Kushner reminded us that protein converts to blood glucose too, although the conversion takes several hours and is not easy to predict. Fat can also slow the absorption of carbs and increase glucose over several hours. A big steak will still increase glucose and may need insulin delivered over a longer period of time (i.e., “square wave” or “extended” bolus for pump patients). Conversely, a below-target average glucose (e.g., 120 mg/dl) and high standard deviation (e.g., 50 mg/dl) would indicate a high risk for severe hypoglycemia. If you currently use a glucose meter, wearing professional CGM (FreeStyle Libre Pro, Medtronic iPro2) or real-time CGM (Dexcom G6, FreeStyle Libre, Medtronic Guardian Connect, Senseonics Eversense) could help identify when lows are occurring. And once those lows are identified, medication can be adjusted accordingly. It can help to look at glucose monitoring over a period of time – say two weeks – but also to look at it on a day-by-day basis. A starting point target, as noted above, is an average glucose under 154 mg/dl and a standard deviation under 50 mg/dl. If you wear CGM, see our previous pieces on time-in-range goals: What do experts think about goals? and What’s an achievable time-in-range goal with diabetes? Technology can enable better glycemic variability: both CGM and automated insulin delivery have been demonstrated to reduce glycemic variability, and so does using BGM thoughtfully and keeping good records. Dr. Rich Bergenstal reminded us that therapy decisions should not be based on just one metric. 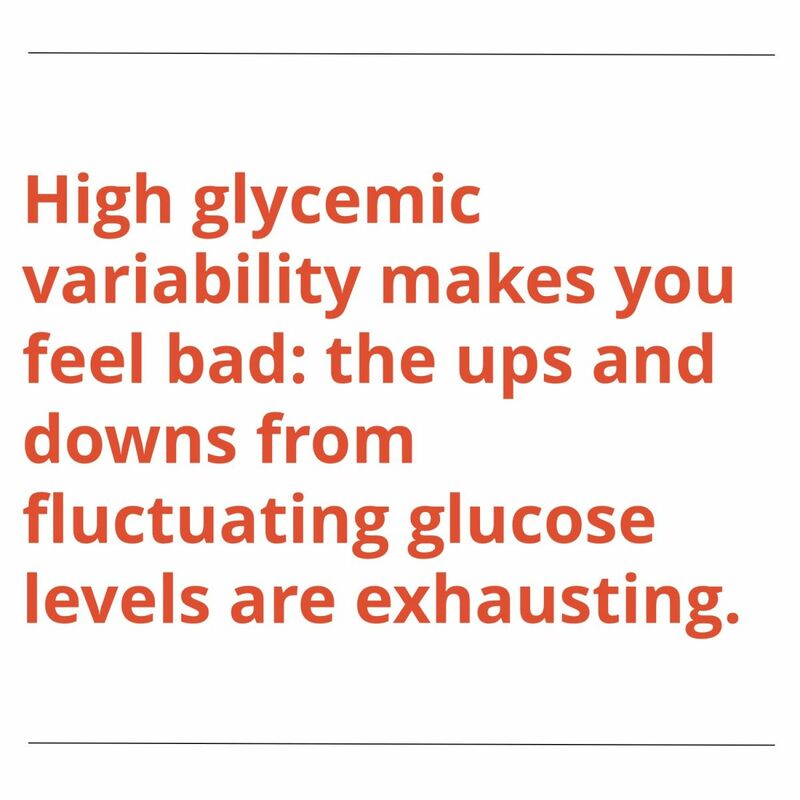 An in-range mean glucose can be hiding many lows. An on-target SD or CV is often a good sign, but there are many examples of very consistently low or high blood sugars with very little variation. A time-in-range of 80% might be viewed as excellent, but not if the other 20% is low. Finally, remember that there are at least 42 factors that impact blood sugar. Food, exercise, stress, sleep, and medication are just a few of the many factors that can directly influence your blood sugar. 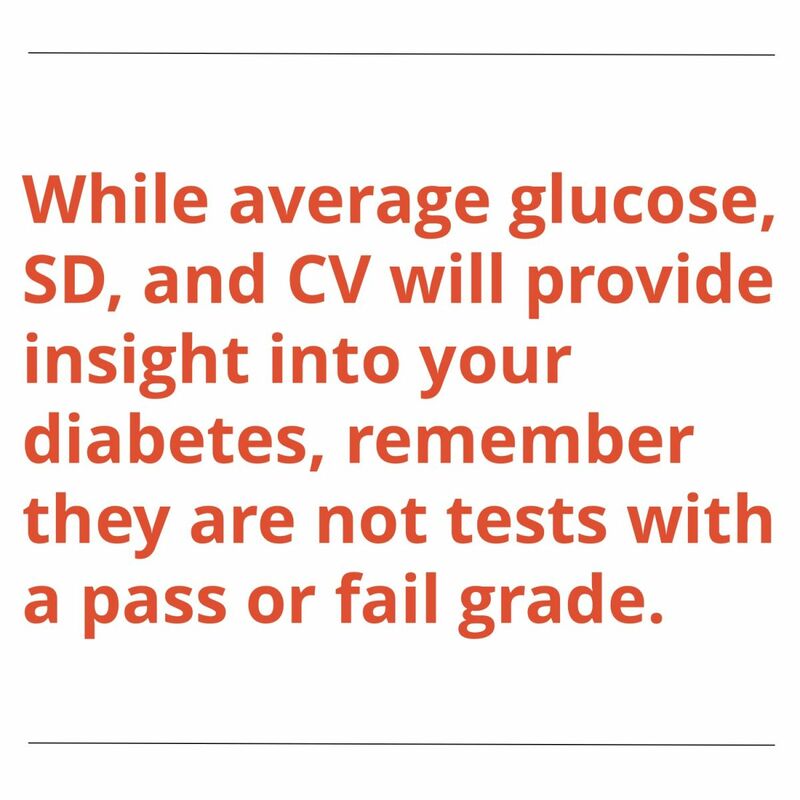 While average glucose, SD, and CV will provide insight into your diabetes, remember they are not tests with a pass or fail grade. Rather, consider these metrics to find/replicate Bright Spots and identify/avoid Landmines! The goal is learning and action, not judgments and blame. 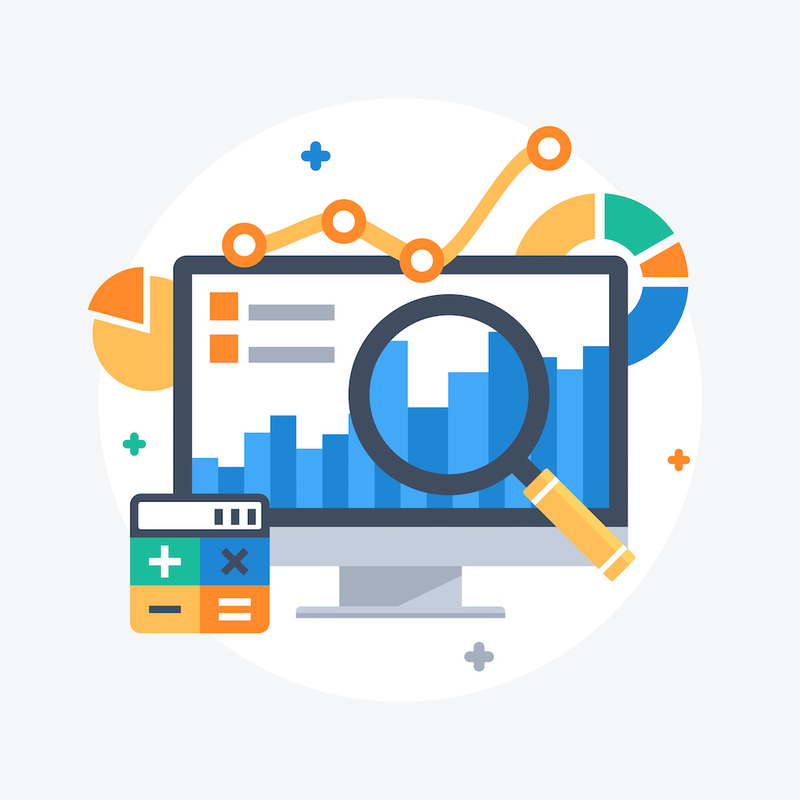 We’d recommend looking at this data with your healthcare team – below is how to get the data! Below is a partial list of apps and software for viewing glucose data from blood glucose meters and CGM devices. Most apps and software are brand-specific, though Glooko and Tidepool are compatible with a wide range of devices. Note: Historically, SD has been the go-to variability metric, as it was usually the only number that software provided. Software is increasing providing CV, including on the near-universal one-page AGP report now common with CGM. Was this article helpful? What did we miss? What questions do you have? Let us know here! A big thanks to the following dozen brilliant advisors, who provided fantastic feedback on this article: Dr. Tim Bailey, Dr. Roy Beck, Dr. Rich Bergenstal, Dr. Daniel DeSalvo, Dr. Greg Forlenza, Dr. Satish Garg, Dr. Irl Hirsch, Professor Philip Home, Ms. Davida Kruger, Dr. Jake Kushner, Ms. Laurel Messer, Dr. Robert Vigersky, and Dr. Howard Zisser.